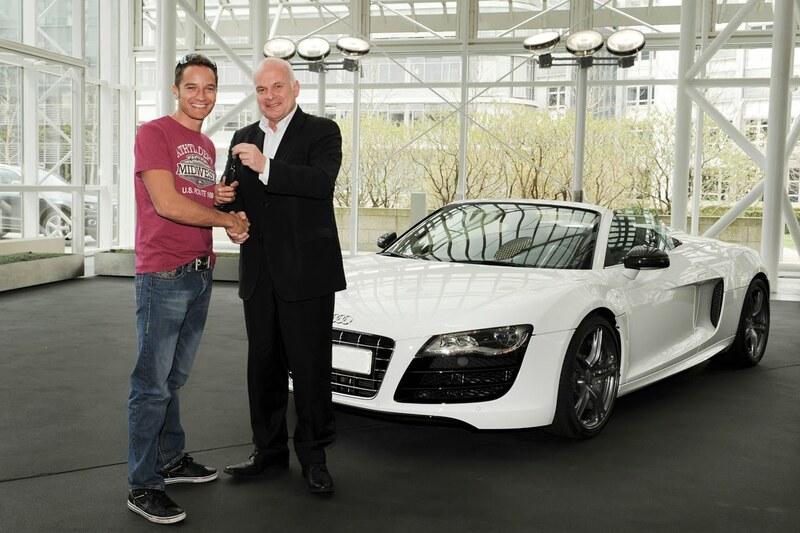 Reigning DTM champion and Audi 'factory' driver, Timo Scheider has just become the proud owner of a white Audi R8 V10 Spyder. 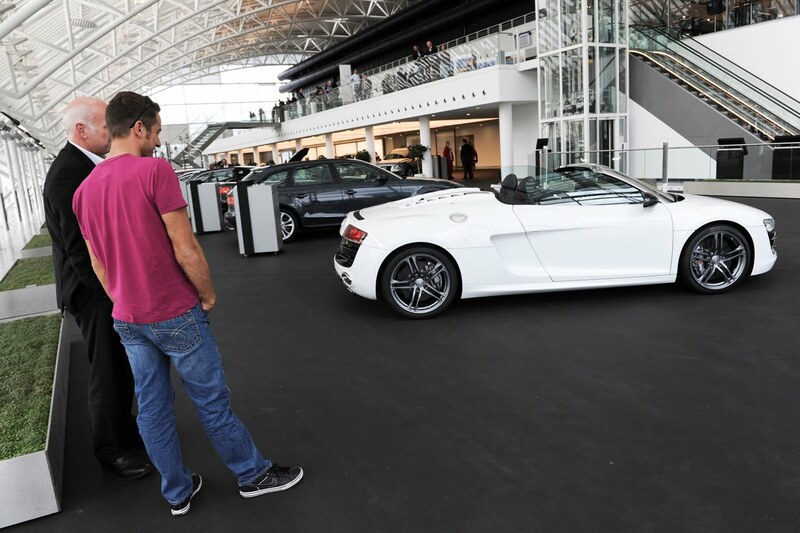 Taking delivery of the car at the Audi Forum in Ingolstadt, Scheider "was happy as a child" after being handed the keys to his new 518-hp toy. 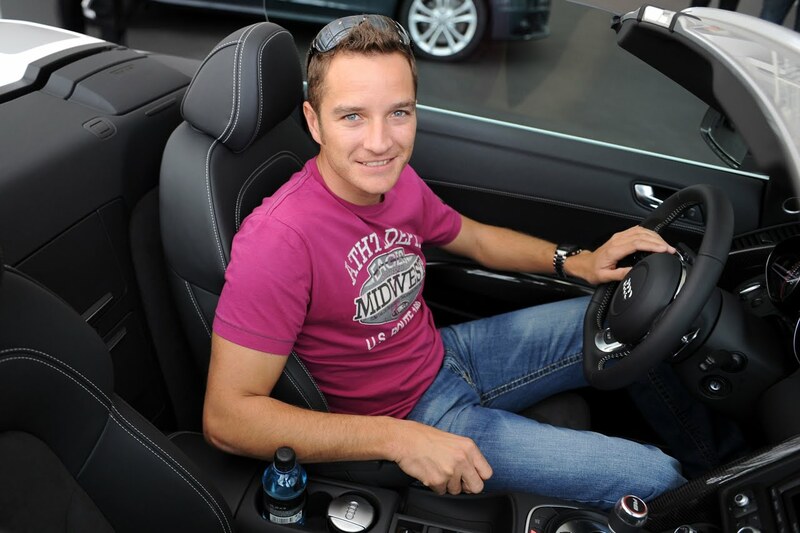 Photo gallery after the jump.